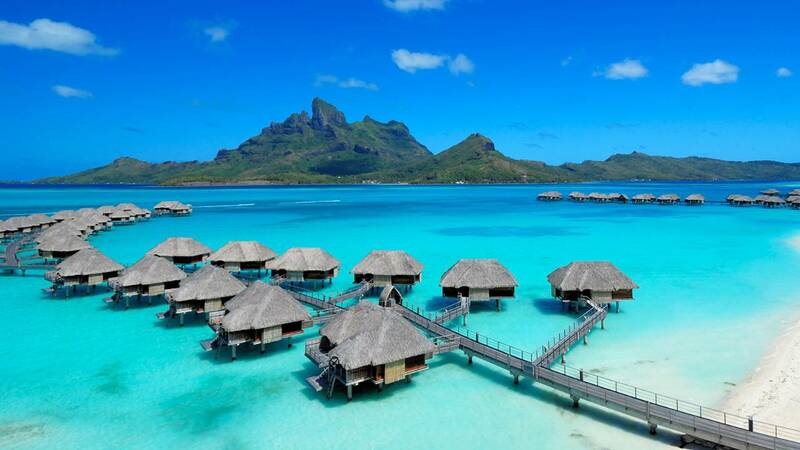 Bora Bora, the best island in the world. What better place than this isolated island paradise to blaze and enjoy absolute Nirvana? When you decide to see the world with red eyes, you aren’t looking to see Detroit, Michigan in August. You want to get away from the hustle and bustle and relax in a land of beauty, serenity, and really great weed. I don’t doubt that Detroit has great weed, but as for serenity… you might want to think more on a global scale. So where is one of the most beautiful getaways on the planet? Think Bora Bora. The best island in the world, according to U.S. News, is Bora Bora. 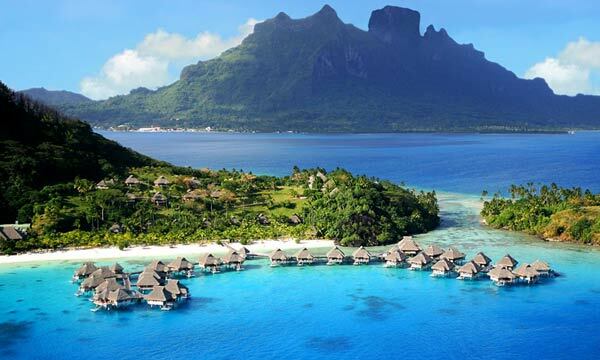 This jewel in the crown of French Polynesia sits in the heart of the South Pacific are known as Oceania. Continentalists might not think of these tiny specks of land much, but they should. This world renowned romantic destination was once described by legendary sea captain James Cook as the ideal place to lay back and enjoy paradise. Scarcely a spot on the universe affords a more luxurious prospect. But you can’t claim to be heaven on earth unless there is some heavenly herb available. So what’s the green scene like in French Polynesia? So said John Donne. There are few corners of the earth that don’t have a flag or a law that tries to wrest their freedom and put it in a box. France does not have legal cannabis. Therefore French Polynesia also maintains its illegality. The growth, possession, sale, distribution, or conspiracy to distribute cannabis are crimes punishable by some uncomfortably long jail terms. That being said, the climate is ideal for growing it, the locals love it, and the tourists are willing to pay handsomely to get blissed out in a tropical paradise. If you are discreet in your inquiries, you should have no issues finding some “pakalolo” or “paka”, as weed is called locally. As far as Huge government agencies, you are pretty far out in the ocean to worry about militaristic raids. The French, especially their territorial islands, have an attitude of “Don’t make a nuisance of yourself, because we don’t like to waste our time with petty stuff.” That makes under the radar use in the islands simply a matter of courteous invisibility. So what can $20 get you there? The currency exchange rate into local currency is almost ridiculous. $20 USD equals 2,153.22 XPF or Francs in the Pacific French territory. The US dollar price is within the realm of $20-$30 a gram, but could be much cheaper if you have bargaining skills or a connection with locals. The weed in Bora Bora is no joke. With the rising unemployment, there are many locals who take it upon themselves to grow in the hills. And what they grow in this hot, humid oasis is some premium herb. We are talking total fire. Where is your perfect smoking destination? Tell us on social media or in the comments below.